Magnesium, an essential mineral for many different systems in the body, is particularly important for nerves and muscles, explains Drugs.com. According to the University of Maryland, symptoms of magnesium deficiency include anxiety, sleep disorders, low blood pressure, muscle spasms and abnormal heart rhythms. Magnesium may be helpful for a number of health conditions, but it can have possible side effects or interactions with medications, so a doctor should always be consulted before taking a supplement. According to FamilyDoctor.org, PMS is thought to be caused by hormonal changes during the menstrual cycle. Symptoms such as mood swings, tender breasts, acne, food cravings, back pain and bloating typically start 14 days before a period and stop when the period starts. In a study published in a 1991 issue of “Obstetrics and Gynecology,” researchers studied the effect of magnesium on women suffering from PMS. In the background to their study, the team explains that magnesium levels are often reported to be low in women who are affected by PMS. The team found that 360 milligrams of magnesium, three times a day, from day 15 of the menstrual cycle, to the start of bleeding, helped to reduce the symptoms of mood changes associated with PMS. PMS sufferers should always consult a medical professional before taking any magnesium supplements. New bone is being made and old bone is broken down every day, explains PubMed Health. 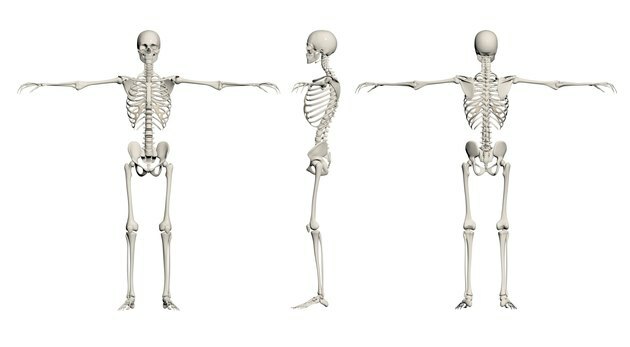 Osteoporosis is thought to be caused by a disruption in this cycle, meaning bones become brittle and weak. Low levels of minerals including calcium can weaken bones. Symptoms of osteoporosis include fracture of the hip, wrist or other bone, loss of height over time and a stooped posture. In a study published in a 1993 issue of “Magnesium Research,” researchers studied the effect of magnesium in patients with osteoporosis. The team explains in the background to their study that magnesium is important for regulating the transport of calcium in the body. The team found that 125 milligrams of magnesium, 6 times a day for six months and then two times a day for 18 months, helped to improve bone density. Patients with osteoporosis should consult a doctor before taking any supplements containing magnesium. According to the National Digestive Diseases Information Clearinghouse, a person with diarrhea passes watery loose stools more than three times a day. Diarrhea that lasts for more than two days increases the risk of dehydration. A doctor should be consulted if a person has had diarrhea for more than three days. According to the University of Michigan, excessive amounts of magnesium can cause diarrhea, although for some people amounts as low as 350 to 500 milligrams a day will have this effect. The University therefore recommends patients with kidney diseases consult a doctor before taking any magnesium supplements. Though magnesium helps prevent osteoporosis, it may also cause a calcium deficiency. The University of Maryland Medical Center explains that magnesium and calcium compete for absorption by the body, and this could cause a calcium deficiency if your calcium intake is already low. Other possible side effects, especially of too much magnesium, include stomach upset, diarrhea, vomiting, low blood pressure, slow heart rate, cardiac arrhythmia, cardiac arrest and possibly death.